This is my first track ever, its a little rough around the edges, inspired by a couple Local tracks here in the Northwest, i don't have a real nice computer and don't know how to use L3DT, so its all done with the in game editor. I'm not sure how to import decals and objects, or do shading so i used twistmoto's blank track with textures and objects from DJ i believe, idk I'm new here. Some constructive criticism would be nice, there is alot of blank space on the sidelines, and the trees might be a bit weirdly placed. I'm just bad at not knowing how to fill space like that. sweet man! im from the northwest too! 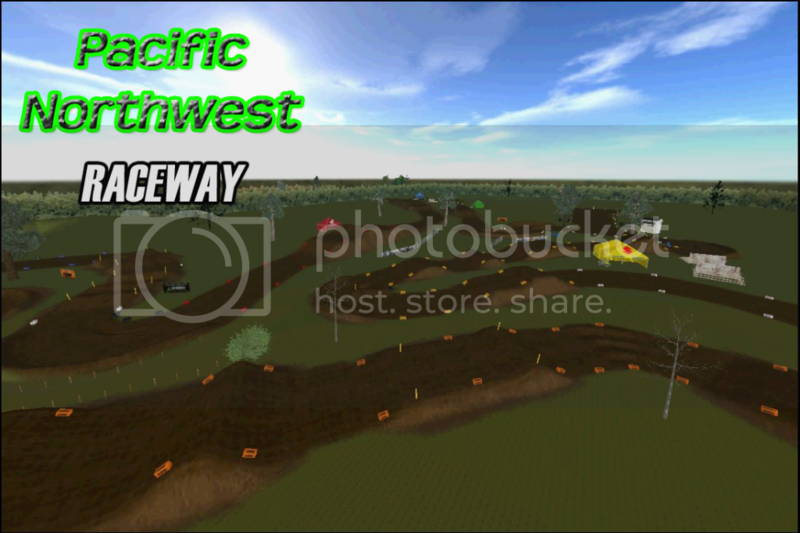 Sorry about that I'm new to this, i think i figured out the problem, i didn' coppy the track info into the folder ....I'm uploading a new file to replace the old one, track name should be "Pacific Northwest Raceway *Updated*"
Eli219 wrote: sweet man! im from the northwest too! Awesome man! What class do you race? Here is an Updated Link. If someone could please confirm for me that the track actually loaded, that would be great!